Making precise room-scale Virtual Reality tracking portable. We worked together with the Canadian startup to design the Zerokey Beacon as effortlessly accessible as its technology. 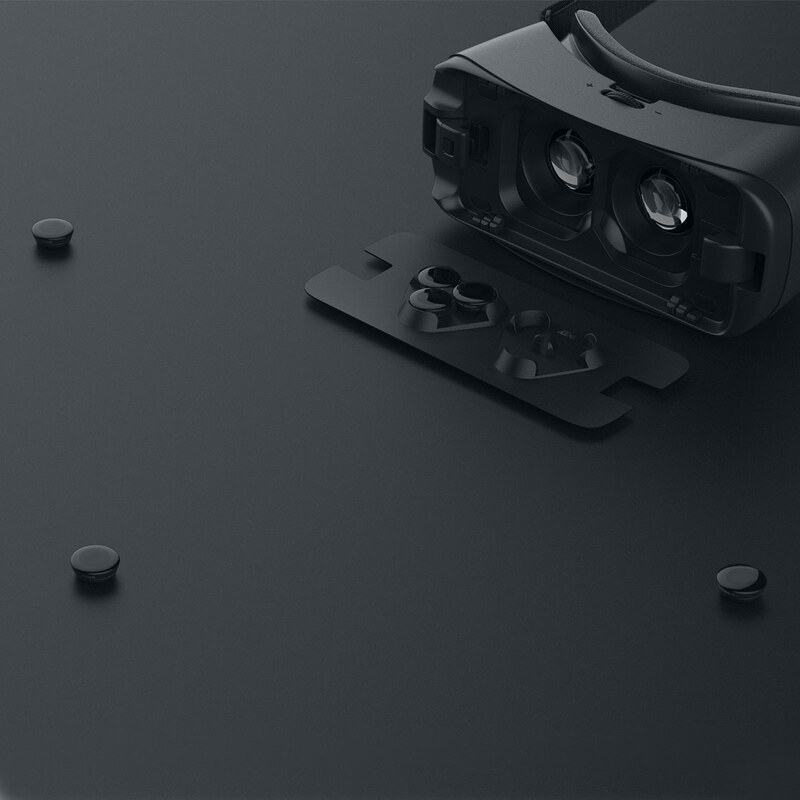 Designed to work in tandem with existing portable VR headsets, the Beacon can be easily nested inside the VR headset via simple locking teeth. Its discreet design and usability is simple and straightforward, while it’s details reinforce Zerokey’s design language identity. Refined material finishes with details that communicate precision tracking. Use of monotone colors with subtle contrast in glossy and matte finishing is a subtle and confident aesthetic, while its micro-drilled holes on its face demonstrate the intricate detailing that relates to how precise its position tracking actually is. The tapered body for comfortable handling, making it easy to pick up, which is especially important for such a minuscule product.